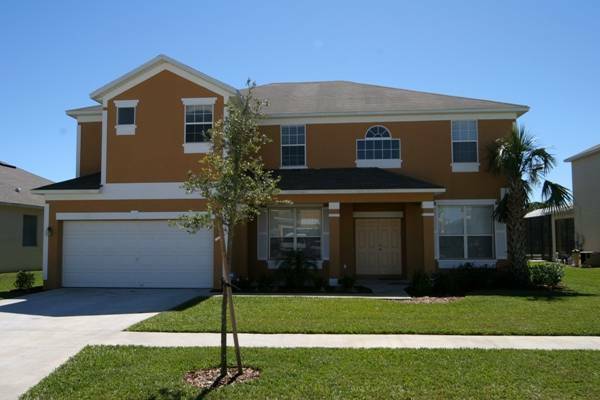 This beautiful Seven bedroom / Six bathroom home is situated in the exclusive “Enclave” section of Emerald Island, a gated resort community which is within 5 minutes drive of Disney World. It is an ideal location for large family groups. Inside, the house is fully equipped to a very high standard to meet all your holiday requirements. Blu-ray DVD player. The second floor den has a flat screen TV with PS2 (with a selection of games). Each bedroom has a TV/DVD combo. We provide free wireless high speed internet access. We also provide free international and long distance phone calls. The kitchen is generously equipped for eating indoors or outside. 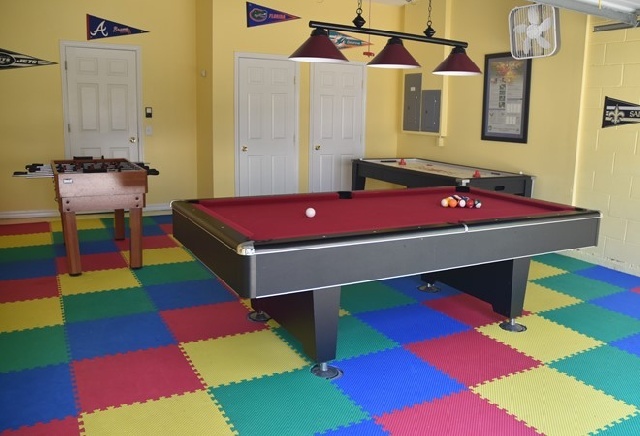 Fully air-conditioned and has a games room with a pool table and foosball table (table football). The house leads onto a shaded lanai with tables, chairs and sun loungers. Beyond is a screened deck area with a heated south facing 30 foot pool and spa with sun loungers, overlooking a lake and a wooded conservation area. There are alarms on all doors leading to the pool and a child safety fence can be erected if preferred. Alles super!! Nur hat das Internet erst nach 2 Tagen funktioniert, das hat gestört! Sonst alles toll! !